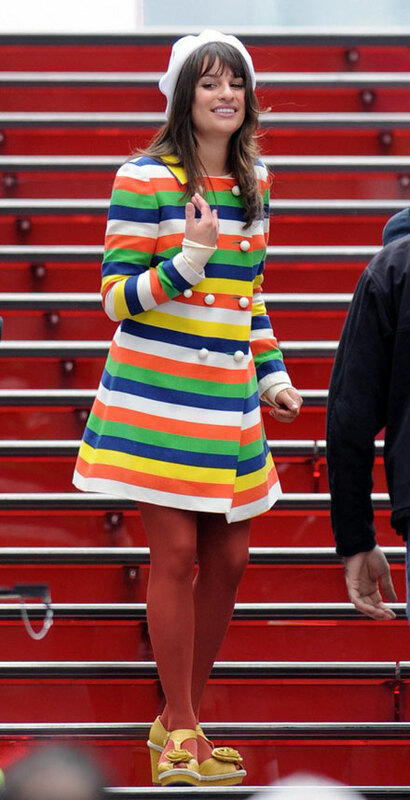 Lea Michele rocked New York in her bright striped coat yesterday while filming the first ever Big Apple episode for Glee. 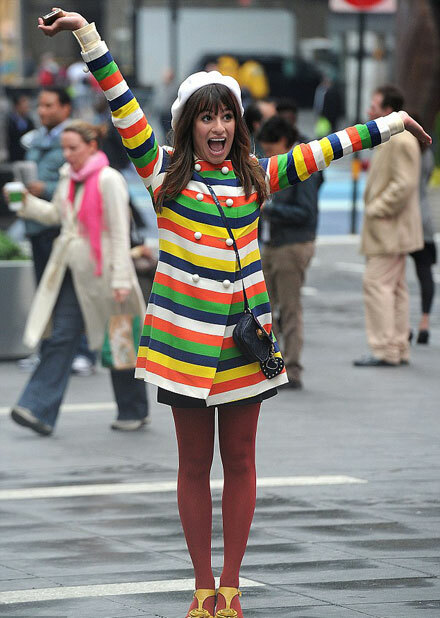 Wearing a matchy-matchy ensemble of the white-orange-yellow-blue-green stripy coat, a white beret, brick-red tights, a blue little purse and yellow platform sandals, Lea who plays Rachel Berry on Glee, looked quite happy shooting the musical number at Times Square. The rest of the Glee cast that took part in the scene (Cory Monteith, Diana Agron, Jenna Ushkowitz, Heather Morris, Chris Colfer, Mark Salling, Ashley Fink) also looked quite hip but there was noone to look as bright and standing-out-of-the-crowd as Lea. 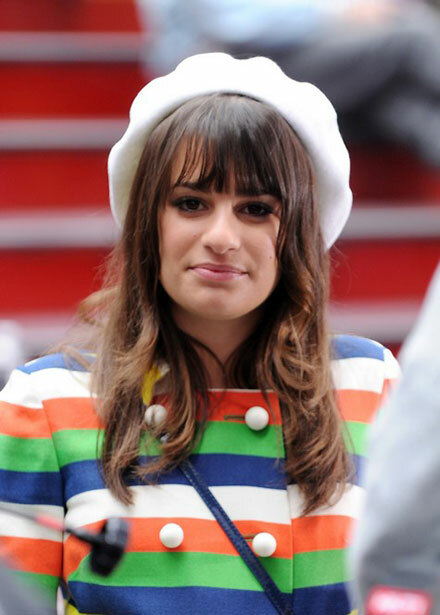 And though I’m not a fan of Lea Michele’s Glee style, this is one of the looks I really love.